A forum which featured leaders in the medical field, along with 10th Judicial District Attorney Stephen Crump, was held at the local hospital Thursday afternoon. Dr. Stephen Loyd, an internal medicine physician and a medical director with the Tennessee Department of Mental Health and Substance Abuse Services, kicked off the afternoon of lectures by acknowledging that addiction is something that is not always covered in medical school. While a medical student might learn how to prescribe drugs such as opioids, they do not always learn how to adequately monitor patients for signs of substance abuse. He shared a personal story to drive home the point that anyone can become addicted to opioids — even doctors. Loyd said there was a time when he regularly abused opioids while teaching at a medical school and earning faculty awards. Loyd stressed that many people are affected by opioid addiction, yet only about one in 10 people affected by opioid addiction seek out treatment for it. Doctors need to be talking about addiction and helping remove the “stigma” which exists around addiction treatment, he said. He also covered the differences between drug dependence and addiction, noting that addiction is characterized by continuing to use a drug despite facing negative consequences, whether those be physical ones or social ones such as receiving a DUI conviction. Loyd also went into detail talking about how opioids affect the brain. He said these drugs essentially mess up the brain’s limbic system, affecting the person’s ability to have good judgment. His presentation also included an example of inappropriate opioid prescribing and shared his thoughts on best practices for addiction treatment. Sharing a statistic about the prevalence of drug overdose deaths in Tennessee, Loyd stressed this is an issue medical professionals need to be taking seriously. While “street drugs” can contribute to overdose deaths, some who have died of overdoses perished after abusing prescription drugs. “We lose four and a half Tennesseans a day,” said Loyd. 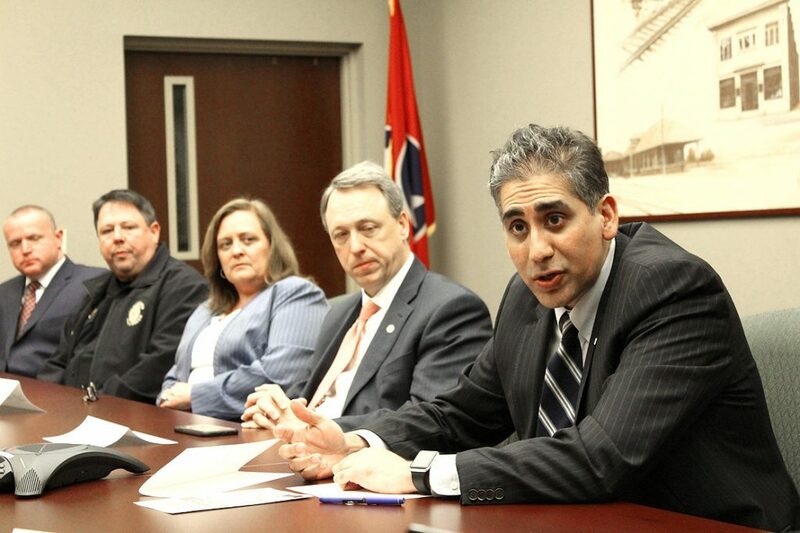 Dr. Mitchell Mutter, a cardiologist and director of special projects with the Tennessee Department of Health, spoke of the state’s efforts to get rid of “pill mills” and encourage use of the state’s Controlled Substance Monitoring Database. This database allows medical professionals to look up patients and see how many controlled substances can be prescribed. It also allows one to look up a doctor and see if there are any questionable prescribing trends. Mutter praised the state’s efforts to track opioid prescribing and said these efforts have led to a reduction in unnecessary prescriptions. He noted that some states, even ones like New York, have not tracked prescribing trends to the extent Tennessee has. “We’re way ahead of New York and ahead of most states,” Mutter said. 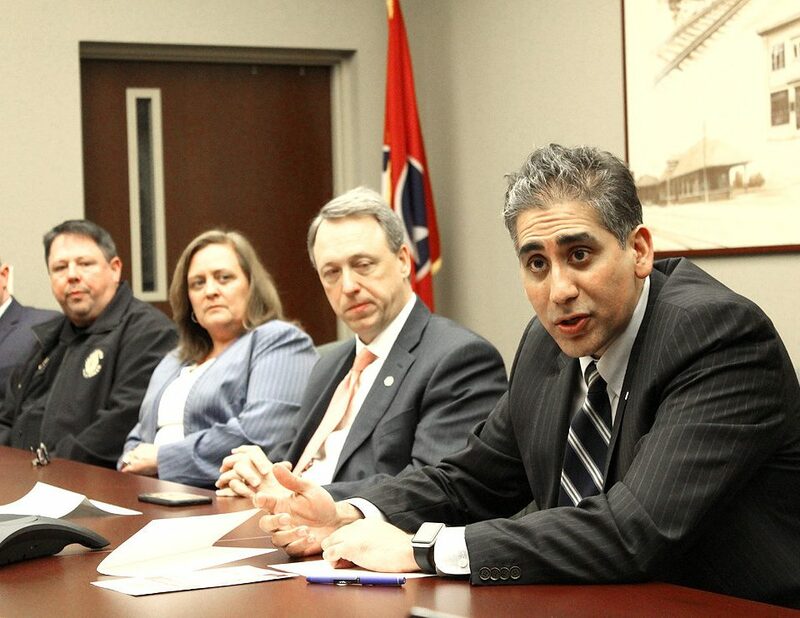 He also directed the physicians’ attention to Tennessee’s prescription drug overdose data. Currently, 24.5 out of every 100,000 deaths are believed to be caused by overdoses. However, he stressed that this number is likely inaccurate. 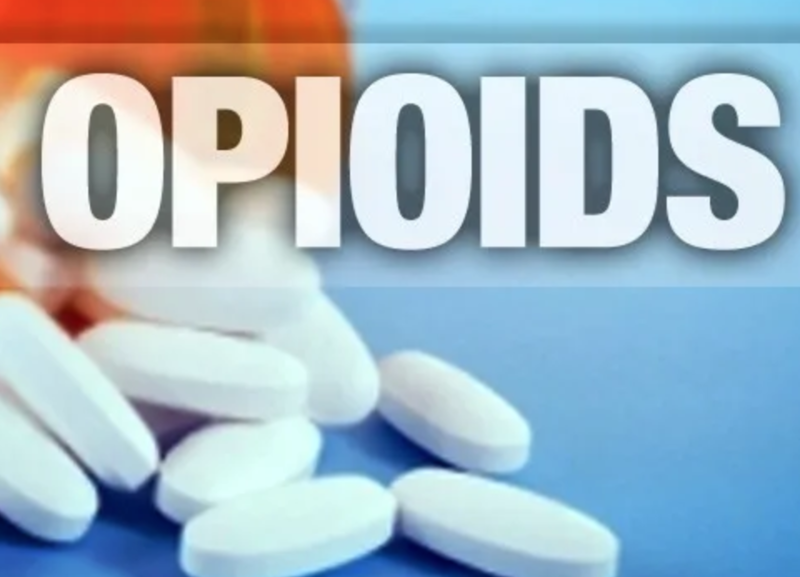 Mutter explained that opioid addiction can affect patients of all ages, and some older people’s bodies might not be sent for autopsies after their deaths. He encouraged the physicians to make use of the database and to watch patients for signs of addiction. 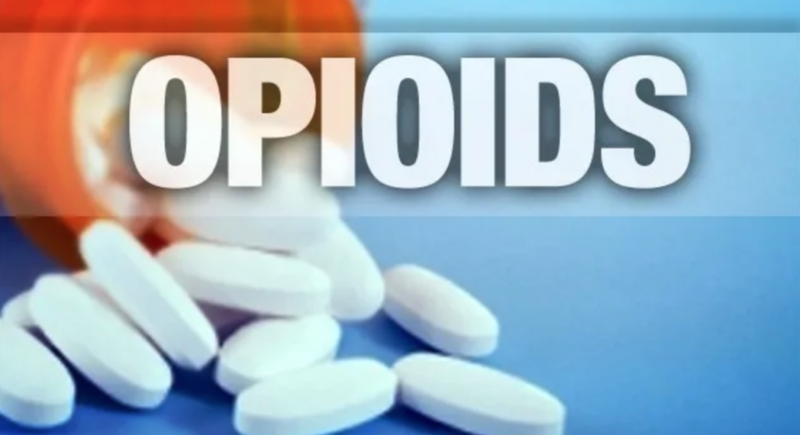 While state health officials are keeping an eye on this issue, those who are actually working with patients can help keep an eye out for and prevent opioid use where they live and work. “You’re the eyes and ears of your community,” Mutter said. 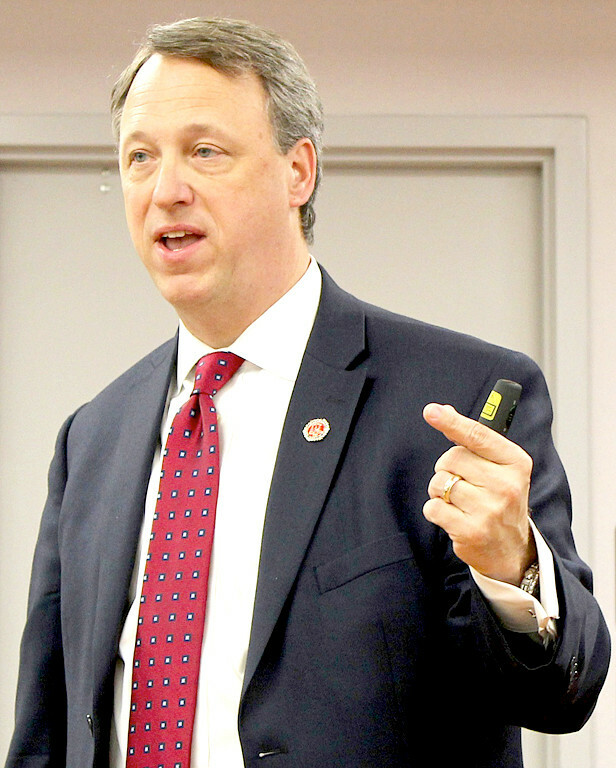 The local district attorney, Crump, then gave the physicians a look at how opioids are affecting this area and shared how he and his staff go about investigating criminal allegations related to opioid prescribing. While there is a “criminal element” which is affecting the prevelance of opioid abuse in this area, Crump said addressing this issue requires a “multifaceted approach.” This requires working with the medical community to promote good practices and educating the public on the dangers of substance abuse. Crump noted opioid abuse continues to be a big problem in this area, and law enforcement officials can only do so much to address this problem. He noted that 53 percent of overdose deaths are linked to prescription drugs legally prescribed by doctors. Last week alone, there were 13 drug overdoses reported in Bradley County, Crump said. Those incidents resulted in three deaths last week. He also presented the physicians with a list of best practices they can follow to make sure they are prescribing opioids in a responsible manner — and staying on the right side of the law. 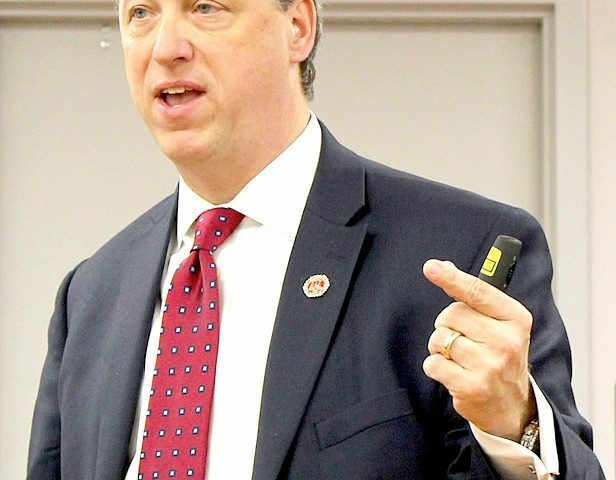 While he acknowledged there are multiple factors affecting the current opioid crisis, such as illegal drug trafficking, he said physicians have a valuable role to play in improving the current state of things. Coleman Foss, CEO of Tennova Healthcare Cleveland, said Terry had reached out to the hospital to provide this opportunity to local medical professionals. The hospital accepted this invitation, providing the venue and a lunch.